The people of Texas have figured out how to beat the heat — or at least how to tolerate it and have fun at the same time. 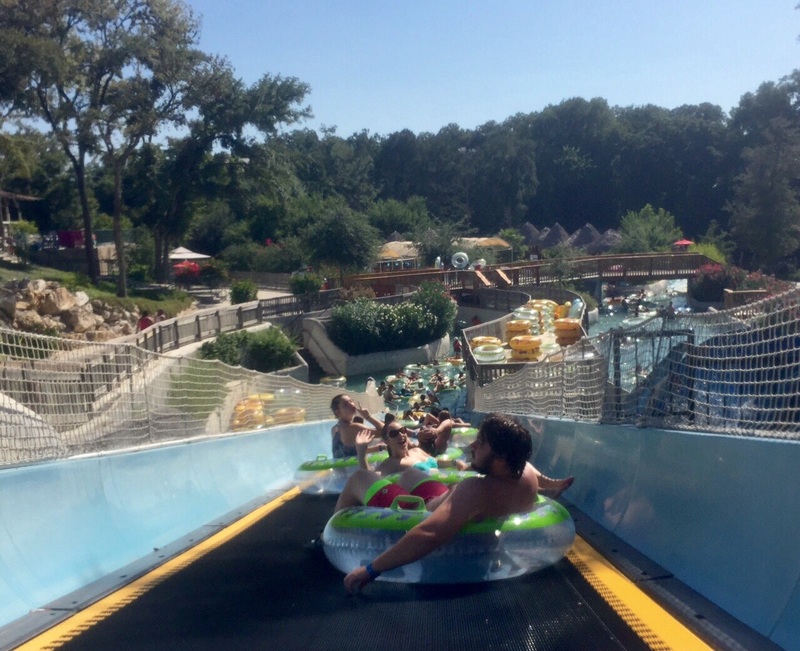 It’s called Schlitterbahn Waterparks – and there are four of them in Texas (one in Kansas, too). I was lucky to get some time off work, so I took daughter and step-daughter for a day of fun in the water Monday. 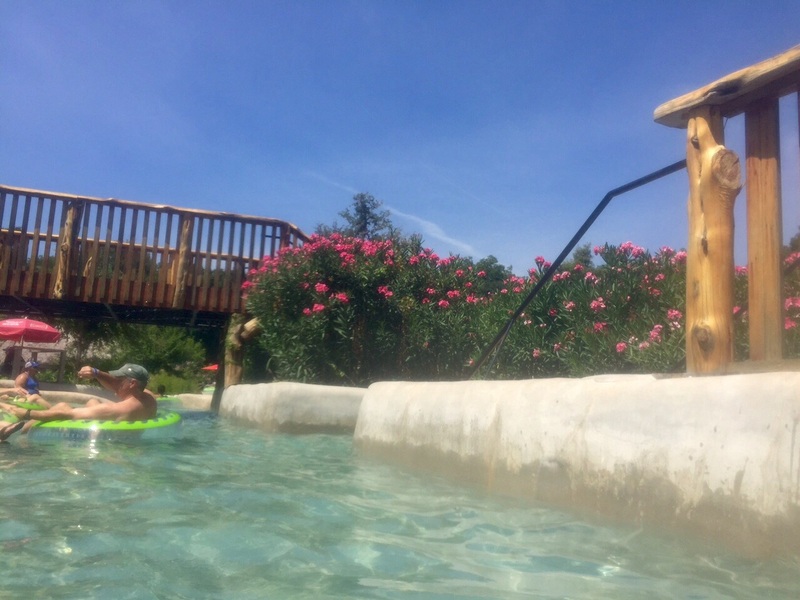 We went to the waterpark in New Braunfels, a little more than an hour south of us in Georgetown. 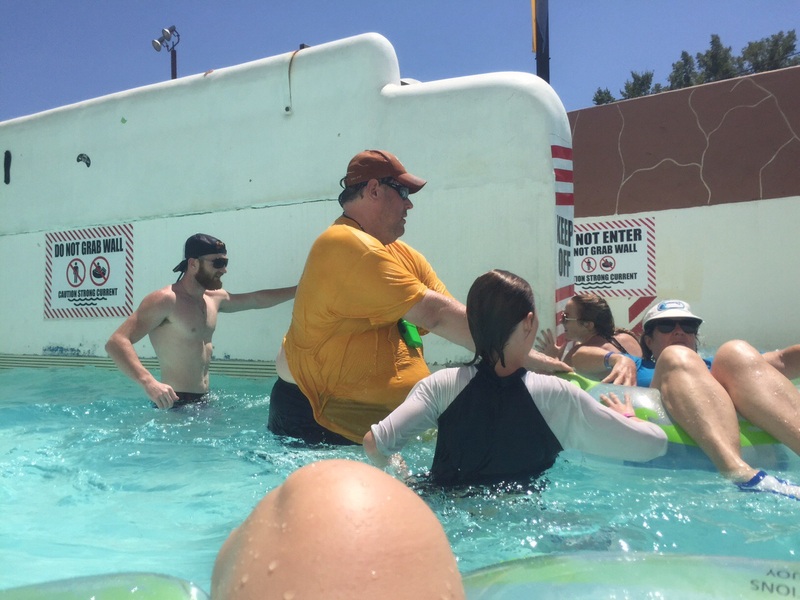 I had made reservations to stay in a hotel at the waterpark, which allowed us entry to the park an hour before the general public. Monday seemed to be a really good day to go – we got our room key and park wristbands, found a place to park and were at the gate as the park opened at 9 a.m. No line meant we were able to walk right in, grab a lock for a locker quickly and get a prime picnic table to set our cooler, towels and sunscreen on. We waited in line for about 45 minutes for the Master Blaster chute ride, then headed over to the Kristal River, where we floated on tubes for a couple hours. This float was our favorite, especialy in the morning, when there were fewer people/tubes to bump into. Periodic waves pushed the tubes along, soaking us with water, keeping us cool and providing fun at the same time. 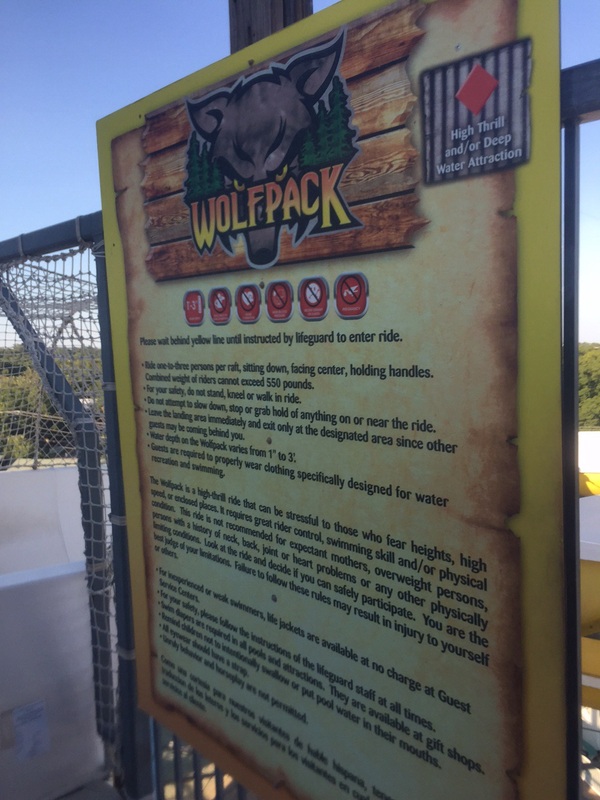 Although we had heard a lot of hype about the non-float rides, we didn’t want to spend a lot of time in lines, so we only did two other rides in addition to the Master Blaster — the Hillside Tube Chute and the Wolf Pack. Personally, I think the rides were all kind of the same thing. And the fact they only lasted two minutes — after anywhere from 45 minutes to two hours waiting in line for it — made the tube floats the logical choice. They were just more fun and lasted anywhere from 20 to 40 minutes. And if you wanted to go around again, you just stayed on the tube. You didn’t have to get off and wait in line because there were no lines. As long as you could find a tube, you could float as long as you wanted. Use lots of sunscreen and drink a lot of fluids. The mercury hit 104 the day we were at the park. We sprayed sunscreen every 90 minutes to 2 hours — and not one of us got burned. We also drank a lot of water and Gatorade. 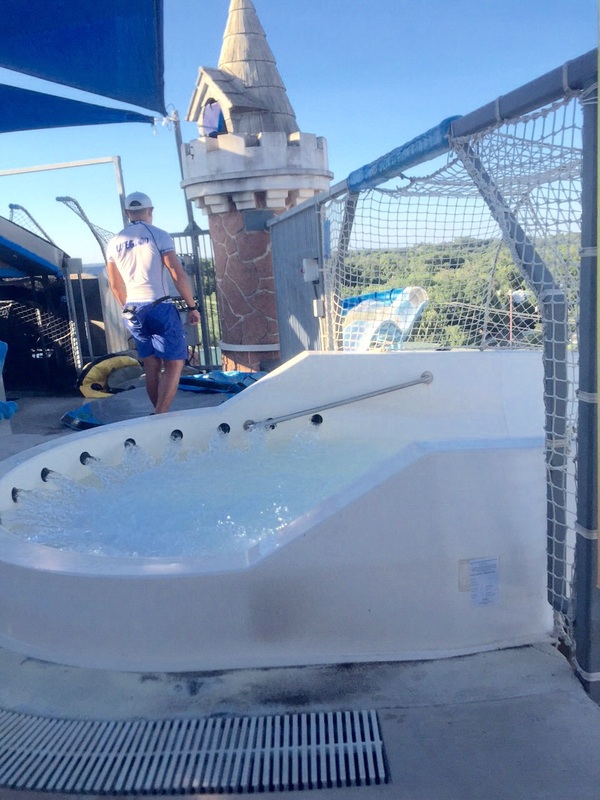 Schlitterbahn is one of the few parks that lets you bring in food and drink (just no alcohol). Take advantage of it. Food. while we took a bunch of snacks, we also wanted to try the park food. And although it’s fairly expensive, the portions are big. We got a footlong chili cheese dog, fries and a drink for $11 or $12, plus nachos for another $4. The three if us couldn’t eat it all, there was so much. Lodging. Staying at a waterpark hotel was worth it. The one-night stay came with waterpark passes for the days of check-in and check-out. Plus we got into the park an hour early. And because we just got a room with two full beds (no cabana for us), it wasn’t that much more than any other hotel room. Plus our room came with a fridge, microwave, cookplates, a sink, plates, glasses and cutlery. I would definitely go back again, and I’d try to stick to a weekday. They’re just less busy/crowded. And a lot more fun. Pay no attention to the guy in front. Daughters Erika and Cassie are behind him. As is a pretty view of one end of the waterpark. 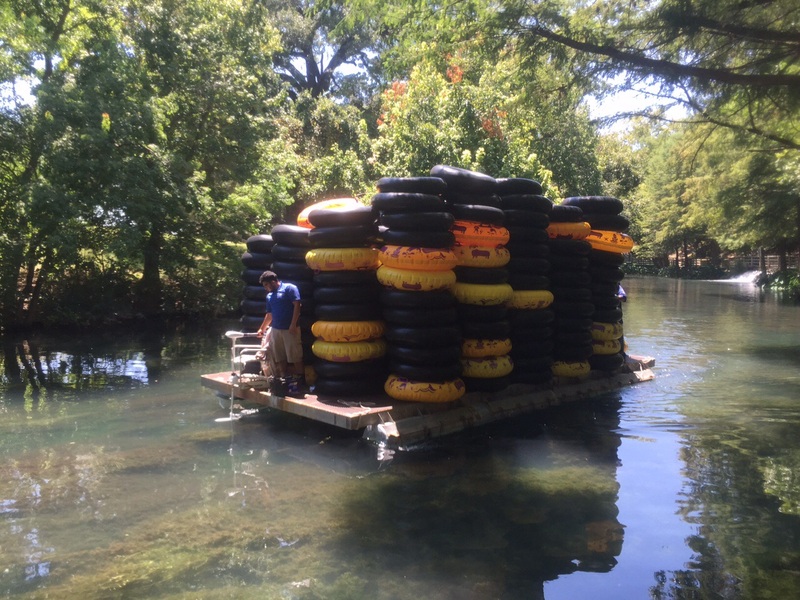 In the original Sclitterbahn Waterpark, this is how they haul tubes from one end of the river to the other. That’s a lot of rubber! Our last ride of the day. After an almost two-hour wait, we finally are the next riders on the Wolf Pack tube chute ride. My version of a celebrty sighting. Up close, the guy on the far left really did look like a younger Dale Earnhardt Jr.
Of course, I had to get one photo of flowers! 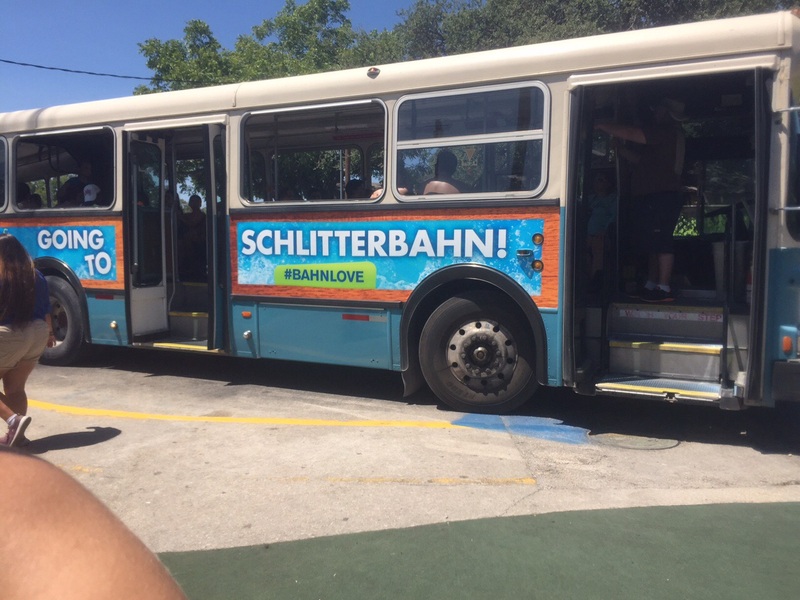 Trams take waterpark visitors between the original and new Parks at Schlitterbahn. 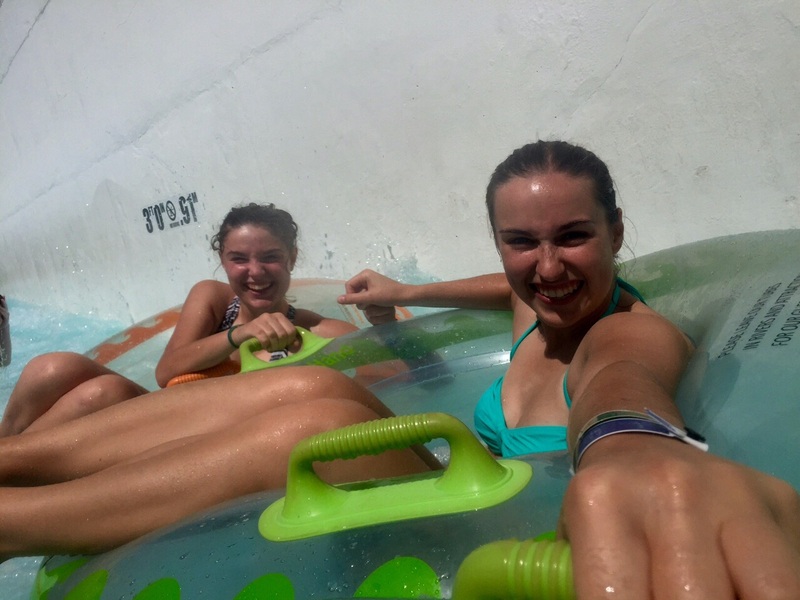 The tube floats were our favorite rides. Our hotel room. 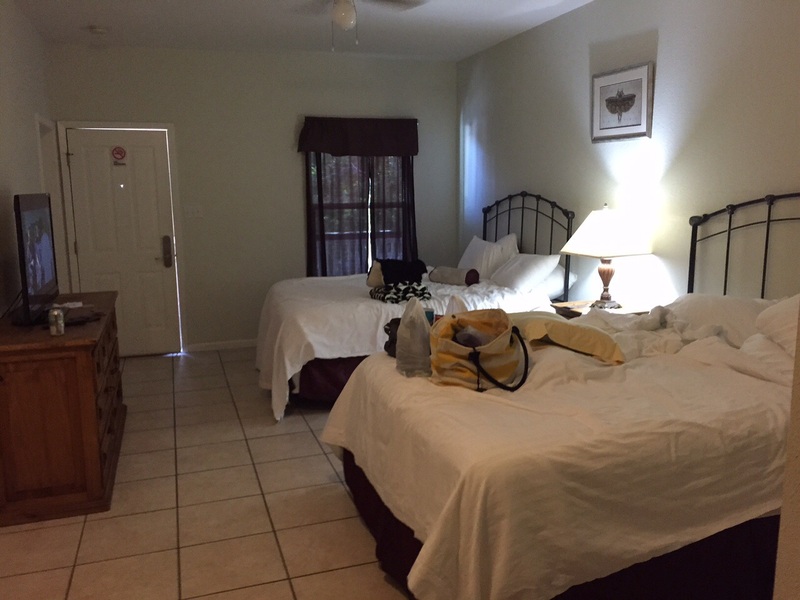 Two full beds, a nice TV and cool, tile floors. 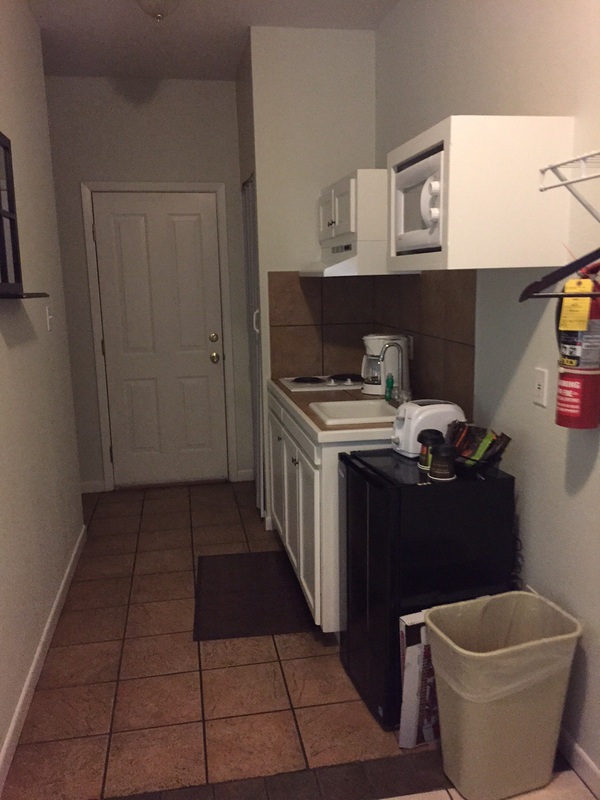 Our room came with a little kitchenette – a nice surprise from the online description, which just mentioned a refrigerator and microwave.